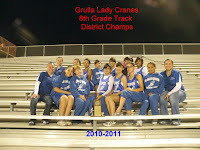 Grulla Middle School 8th grade Girls Track Team win District Title!!! Congratulations to all the members on the team for this great feat. The girls took the title on March 30, 2011 in Roma with a total of 233 points. 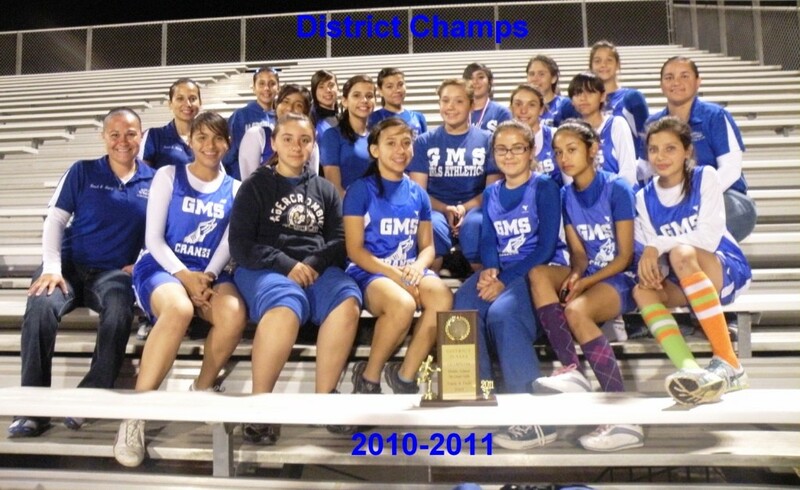 Team members include : Bottom Row: Coach Yadira Lopez, Mady Silguero, Celeste Elizondo, Yasmin Rangel, Neyla Pena, Vanessa Montes, Mireya Zarazua, Coach Enedelia Rios. 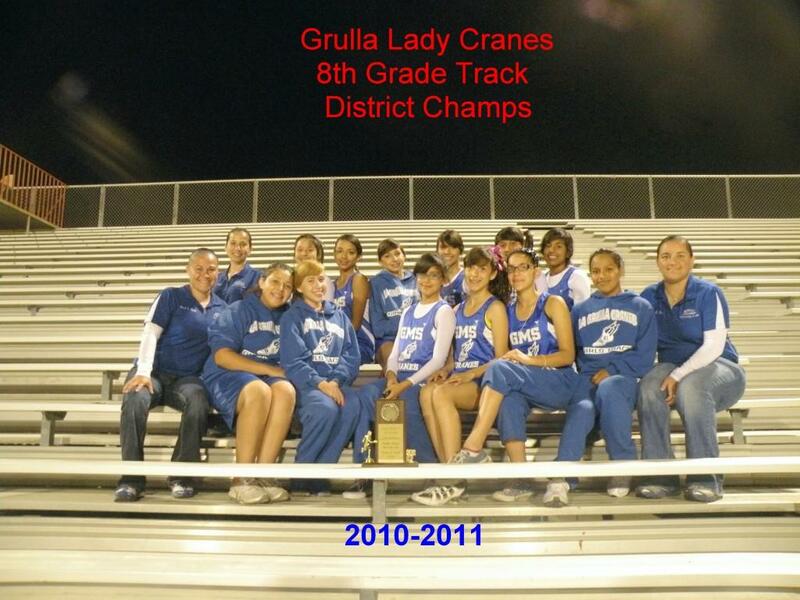 Top Row: Coach Jayne Gomez, Destiny Flores, Jenny Segura, Jannelly Moreno, Deanne Alaniz, Kassandra Cruz, Kasandra Rivera. Not pictured: Dinora Pena, Deann Vela. Special thanks go out to GMS administration, Mr. S. Trillayes, Mr. A. Ozuna, staff, parents, and community for their support during the season. Great job ladies, way to continue the tradition.